The second instalment of the Art Piece 2 conceals the time but makes up for it with an oversized power reserve display. 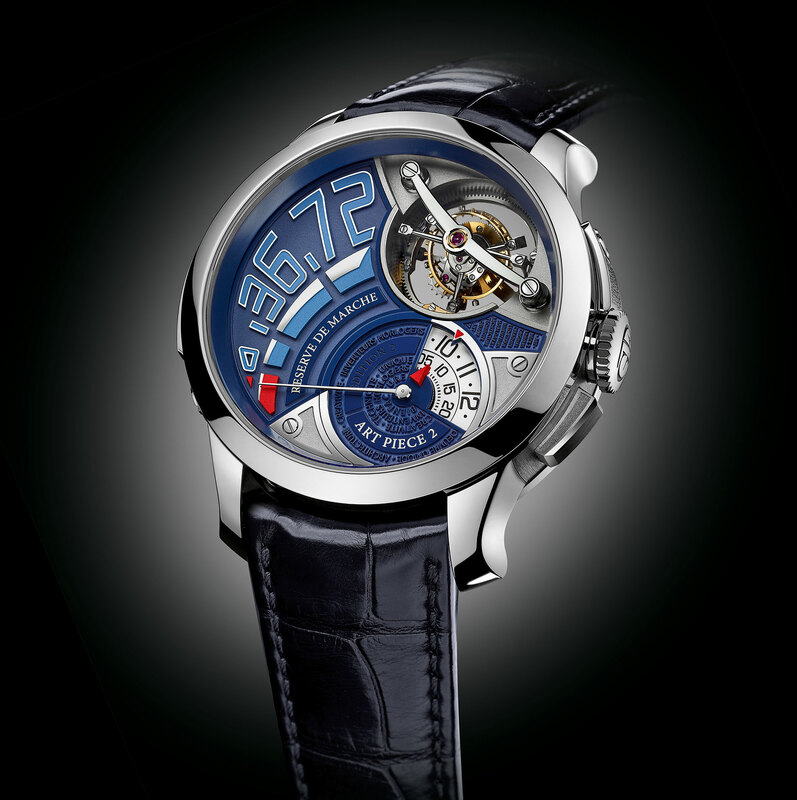 Conceived as objet d’art for the wrist, Greubel Forsey‘s Art Piece watches have tended to be platforms for philosophical statements. The latest in the series is meant to be a memento mori of sorts, one that shows the time only on demand, with the dial being dominated by an extra-large power reserve display instead. A pusher on the case opens a opens a fan-shaped window at four o’clock, revealing two discs below showing the hours and minutes. 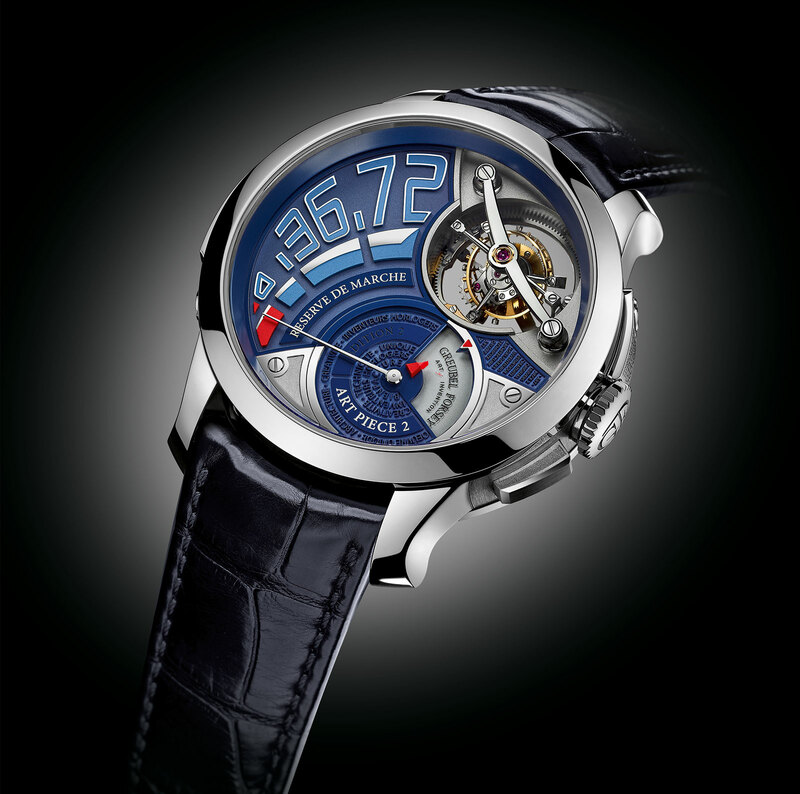 Typical of Greubel Forsey, the dial is elaborate and expensively made, being solid gold with a blue coating, and finished with applied gold plates and numerals. Surrounding the time display window is the tiny relief lettering that’s a favourite feature of the brand. 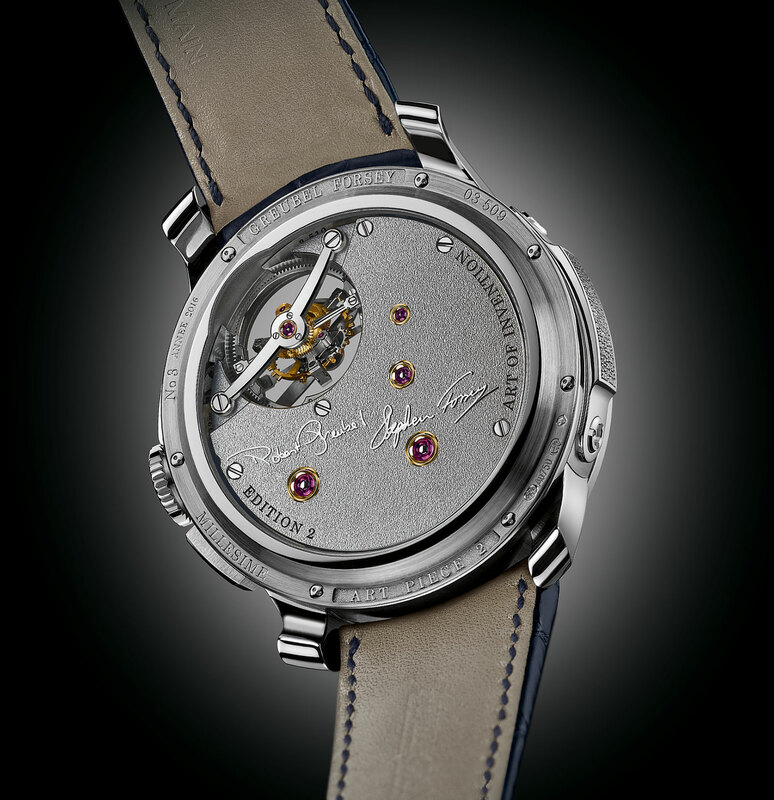 This is the first watch in the Art Piece series to lack an optical magnifier – the earlier editions featured micro sculptures viewed through a lens – but is still equipped with the Double Tourbillon 30° that is found on all Art Pieces. 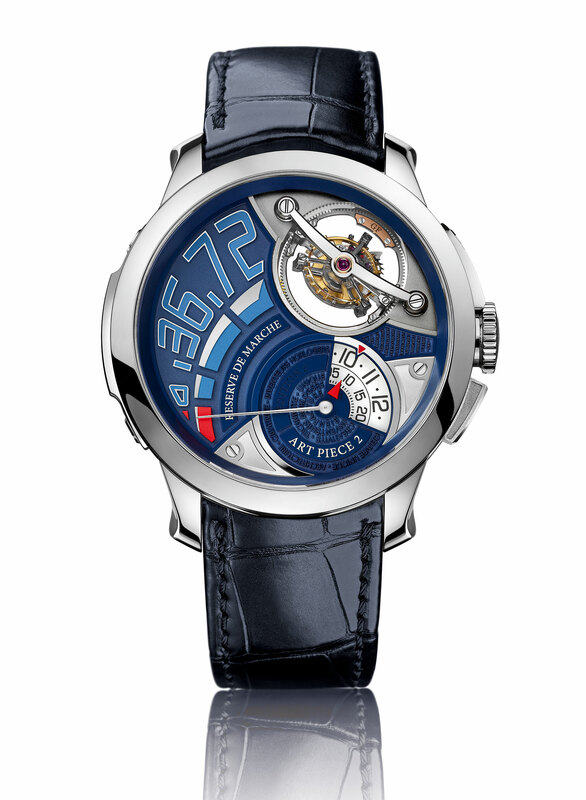 Featuring two cages, the double tourbillon rotates on two axes, one requiring a minute to complete a revolution and the other four minutes. 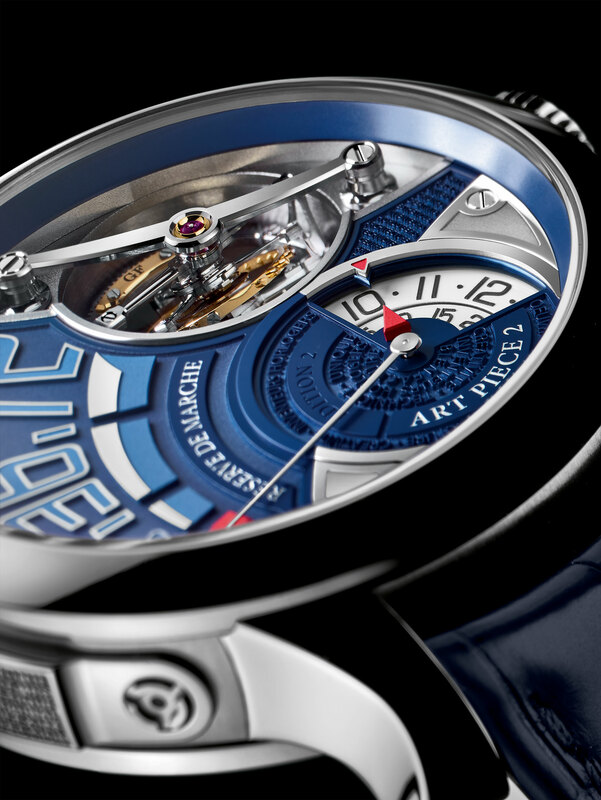 The Art Piece 2 – Edition 2 is white gold and 44mm in diameter. Neither has been announced, but with the first Art Piece 2 priced at SFr590,000 expect this to be in the same ballpark.